High School Girls Champion STEM for Elementary Students! Peyton Benac with a Pinewood STEM student! Peyton Benac and Alex Stockholm wanted to take their interest and passion in STEM education to younger girls but they knew they’d need faculty support and financial assistance to do it. But their goal to inspire and encourage students who like the STEM subjects motivated them to move forward and thanks to a grant from the Jenison Education Foundation they were able to launch their group! Sandy Hill Girls in STEM! In preparation for their presentations the team watched “a lot of TED Talks from women who have succeeded in STEM fields talking about what they went through when they were younger. We read parts of “Lean In” by Sheryl Sandberg talking about finding success in male dominated fields and I think that gave us the background to want to do this with the elementary girls. We thought that we could provide that role model and tell them that we passionately love STEM and we think you should too…” Ultimately, the group would love to see more female students stick it out in Science Olympiad, Robotics , AP Computer Science, AP Calculus or AP Stats. If you’d like to encourage an elementary girl to attend the next STEM meeting please check out this flyer for the details and where to sign up! Or if you’d like to find out how you can contribute to continuing the work of the Girls STEM Club in Jenison next year please contact Alice Putti: aputti@jpsonline.org for information on their forthcoming Go Fund Me account! Thank you to Alex, Peyton and Mrs Putti for being the role models our young girls need! We are so grateful that you pursued your goals and are investing in our future STEM leaders! Pinewood Girls try to crack the code with a little encouragement from their high school mentor! Rosewood Girls in STEM hard at work! Pinewood girls conquer the engineering challenge! 1. Jenison has traditionally purchased Mac computers. Why the switch? We aren’t switching. We are adding another type of device to our supply of devices available for student learning. With the addition of Chromebooks, we will now be able to offer our K-6 students three different devices to use: iPads, Chromebooks, and MacBook Pros. At the high school, we continue to offer Windows computers too. We are not abandoning the use of Mac computers. We have over 300 Macs for staff use and over 800 Macs available throughout the district for student use. 2. How many Chrome books have you purchased, and where/how do you intend to use them? We have purchased 612 Chromebooks. Those will be distributed on mobile carts throughout each building with the exception of the ECC. The Chromebook is an ideal device for districts such as ours that use Google Apps for Education. Most of our grade 3 – 12 students use Google Apps on a regular basis and this “tool” allows for seamless and easy access to any documents created in their Google account. 3. Will these devices replace current computers and tablets or add to your options? We are adding to our technology options. This is with intent. While many districts commit to one device, we are offering three: iPads, Chromebooks, and MacBook Pros. We want our teachers to develop student projects and then choose the device that will best help students accomplish their task(s). It is not a “one device fits all” world. 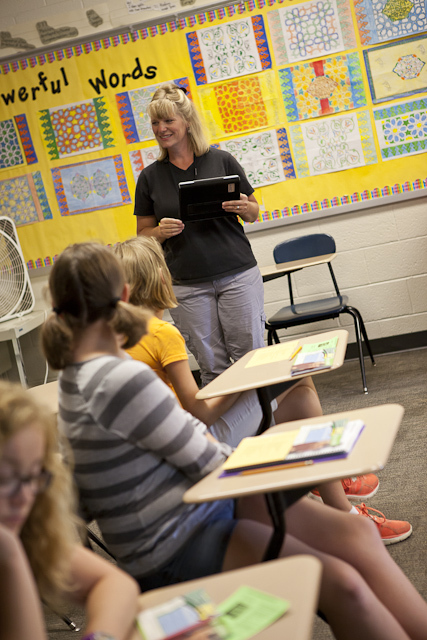 We are proud to offer several options for teaching and learning. 4. What’s special about a Chrome book? There are four things that make the Chromebook attractive. 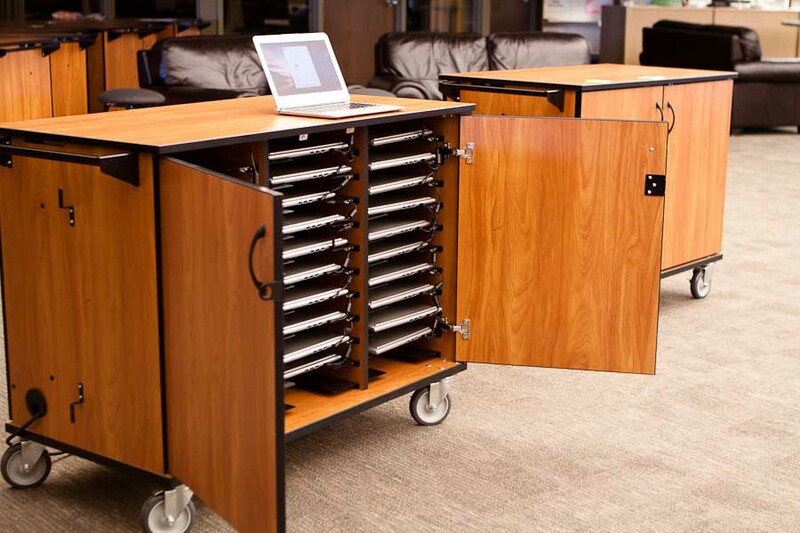 First, this device is built specifically for Google Apps users. Second, much of the work done by students requires access to the internet. The Chromebook provides easy access to the internet with a simple interface and operating system. 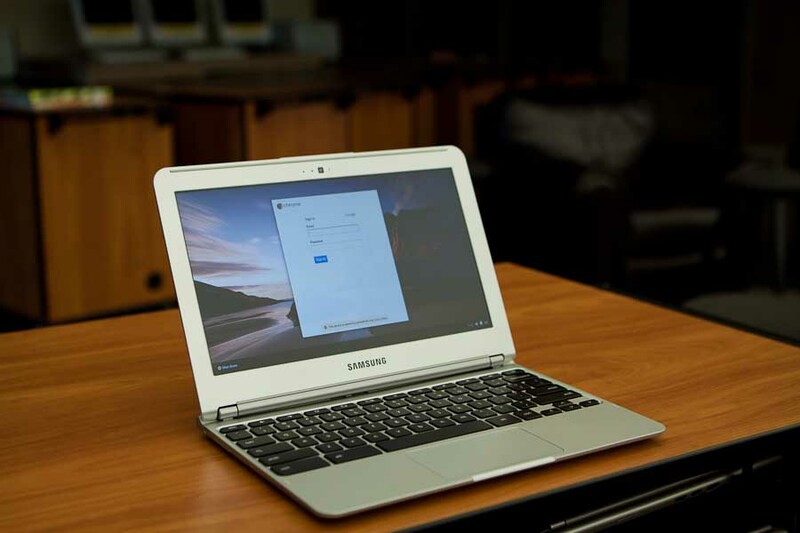 Third, the Chromebook runs on the Chrome operating system and is 100% cloud based. There is no need for local computer storage of files as they are automatically stored in the cloud. Fourth, it sells for a very attractive price at $249. It really is a robust machine for that price. 5. Did the district purchase any other new technology this summer? If so, please explain. We installed a high quality security camera system at our Junior and Senior High Schools. Our wireless coverage was enhanced this summer with the installation of additional wireless access points. This will provide a better teaching and learning experience for our teachers using iPads in their classroom. We purchased 500 iPads for student use throughout the district. 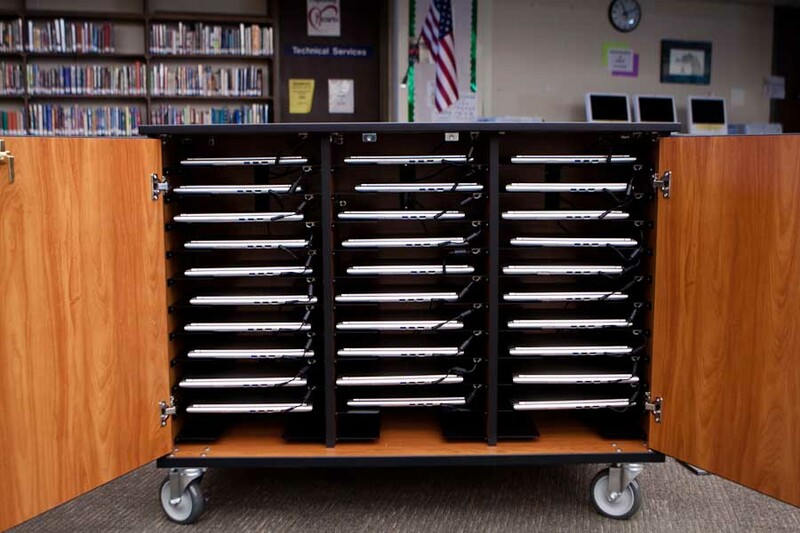 Each building will have at least 60 iPads available on mobile carts. 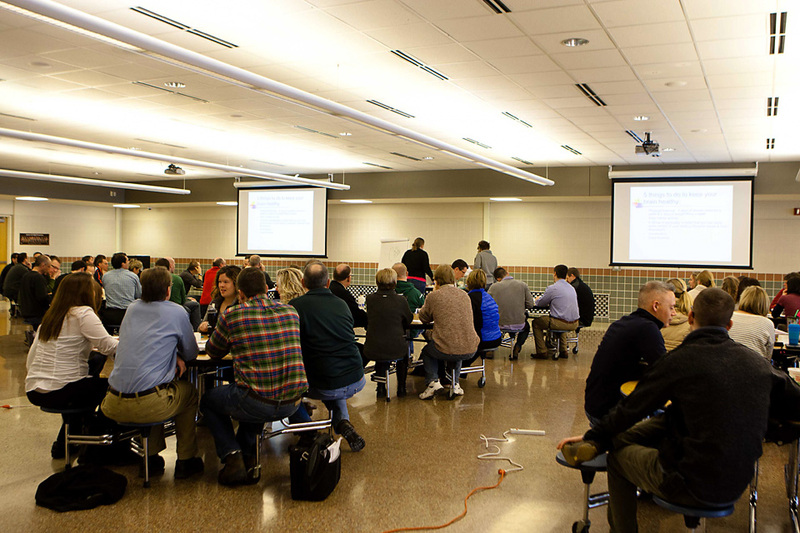 We purchased additional PC laptops for use in the Jenison International Academy. 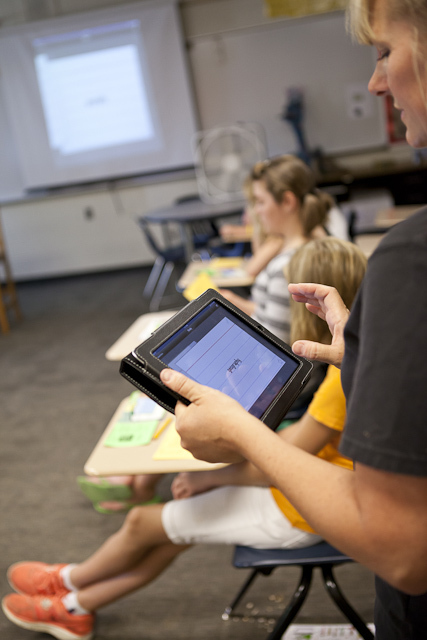 Each classroom in the district has been updated to current classroom technology over the last two summers. They now have an integrated sound system, document camera, digital projector, Apple TV, iMac computer, and iPad. 6. Was this purchase funded by the bond that is building the Fine Arts Center? The bond that was supported a few years ago by our community is funding these technology purchases. The bond had several parts to it including roofing, technology, the Performing Arts Center and more. 7. As the JPS tech director, would you be willing to explain your involvement with Discovery education and how your experience with them informs and prepares you for the district’s plans moving forward? 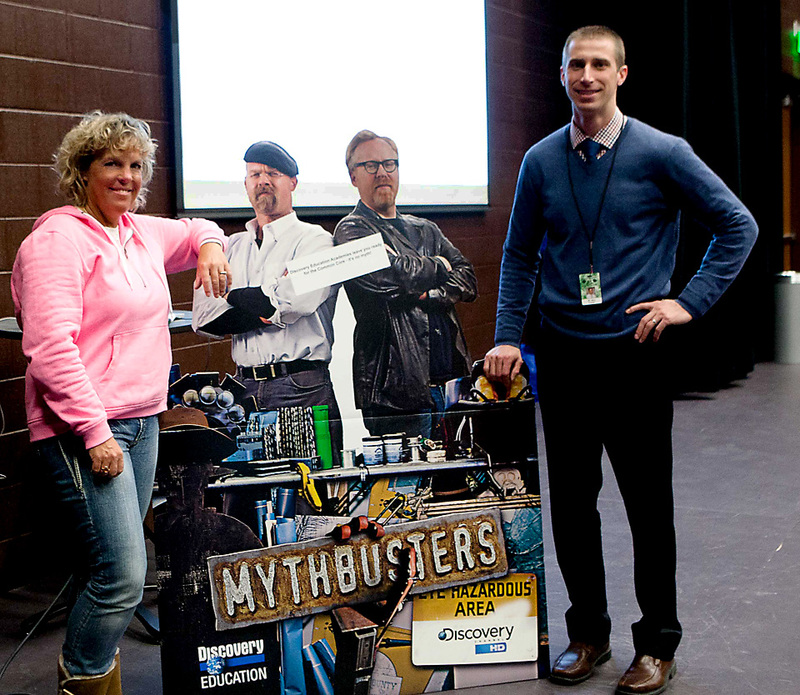 JPS subscribes to Discovery Education services for teaching and learning. Discovery is best known for providing streaming videos but they offer a very rich supply of other educational resources that cover all grade levels and subjects. Teachers and students can access an array of images, videos, audio files, articles, interactive items and much more. 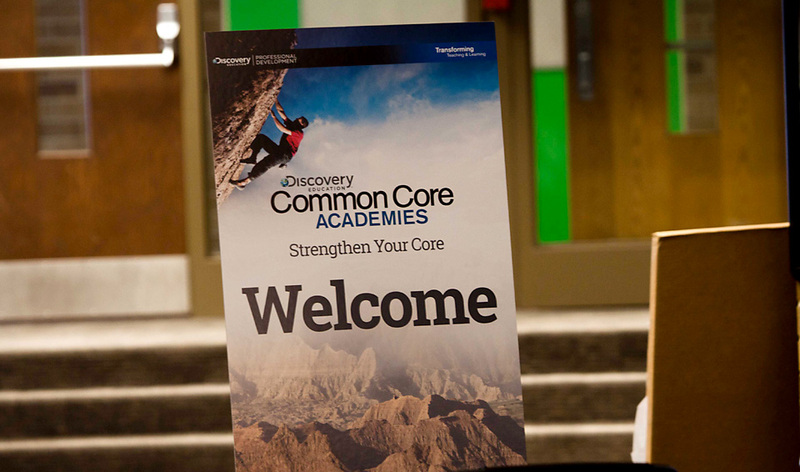 Our elementary schools have used Discovery Assessment resources as well. The assessment program does a terrific job of providing roadmaps to learning for students. The program is diagnostic and prescriptive, meaning that it shows a students weaknesses AND provides resources that can help a student strengthen those learning areas. In other words, the assessment tells you where students are weak and provides a way to strengthen those specific weak areas. That is targeted, individualized learning. This year, the district has adopted the Discovery Science Techbook for our elementary science curriculum. The highly rated Science Techbook is an engaging interactive science curriculum that is built to take advantage of computers, tablets and other mobile technology. Each of the devices we are providing for student use can be used to work with the Science Techbook. I have been fortunate to work closely with Discovery Education over the last four years as we have increased our use of Discovery products. For each of the past four summers, I have been selected to attend the Discovery Educator Network Summer Institute. 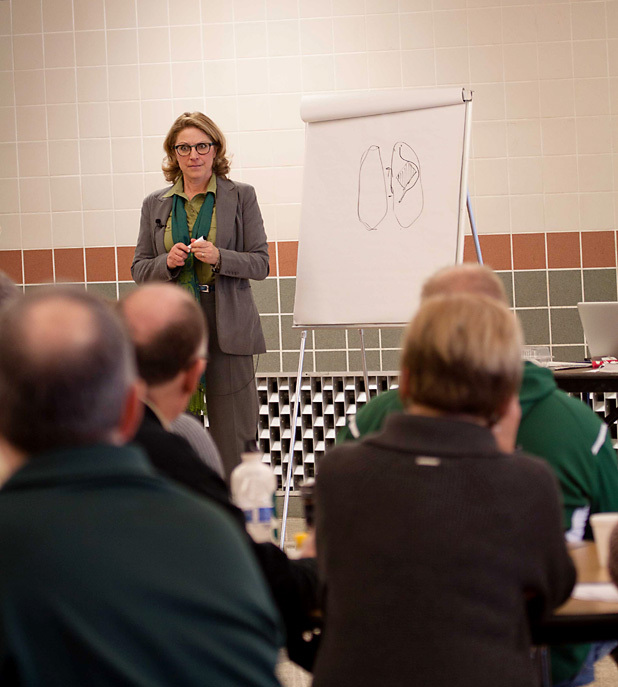 This is a weeklong gathering of over 125 Discovery using educators from across the world. 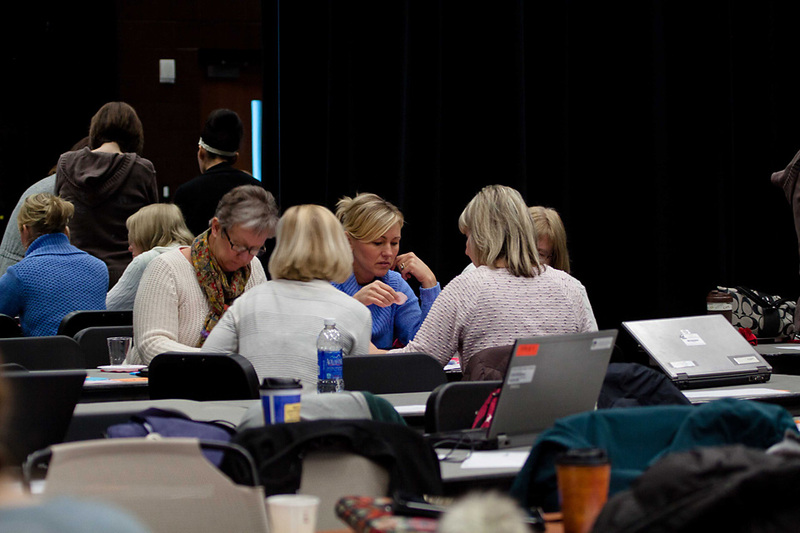 During the institute, we work together to develop ways to better use Discovery resources in our districts. That terrific experience helps me to do a better job of supporting our teachers and students when they are using Discovery services. Our sincere thanks to Dave for his willingness to share these exciting updates! The beginning of a new school year is marked not only with falling temperatures and dropping leaves, but with pencils and notebooks, folders and locker combinations. This fall our school year is marked by all of those things — and the welcome presence of new technology thanks to the passage of our last bond proposal. District Director of Information Technology, Dave Tchozewski, is pleased to report that Jenison has purchased 300 new iPads, 334 new iMacs, 440 MacBook Pros, and 300 Apple TVs for use in classrooms districtwide. Powering these new devices was a task in itself, as JPS buildings (until recently) did not have wireless technology or wi-fi available to students and teachers. Our team of six technology professionals worked tirelessly over the summer to distribute the new computers and iPads, train teachers, ensure that all systems were in place for functionality and ease of use, move, re-wire, and re-design scores of labs, and work on the new mobile labs termed C.O.W.S. : Computers On Wheel(S). The “C.O.W.S.” are a welcome innovation by staff members seeking to more fully integrate technology into their classrooms. With 12 total throughout the district, teachers are better able to access the computers and technology needed to teach 21st century skills. Of course while new tools are necessary and helpful, the teacher-student relationship is still paramount in reaching and motivating kids, as was obvious this day (see photo at right) in Ms.Wendy Hunt’s classroom at Jenison Junior High. Connecting with kids remains the focus in all of our schools, and doing so with compassion and care is paramount. We make it our goal to model excellence and demonstrate a love of learning that is flexible and accommodating. We strive to grow with and expand to meet the demands of our world. And in 2012, understanding, teaching, and integrating technology must be part of what happens in our classrooms. Thank you to our community and to our Information Technology staff for making it possible for us to connect with kids in this way!